Above you will see two installs of a custom iron entry door and a decorative iron garage door located in San Jose near Los Gatos and Santa Clara, California. Our wrought iron entry doors are built custom for you and provide the security you need paired with the elegance you want. 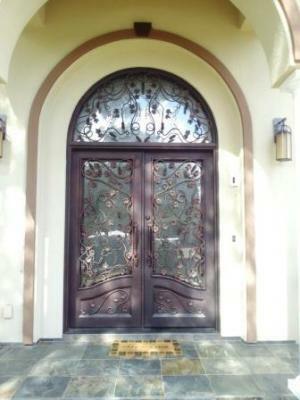 Signature Iron Doors is a proud provider of numerous custom iron products including: Iron front doors, iron garage doors, wrought iron railing and ornamental iron gates. 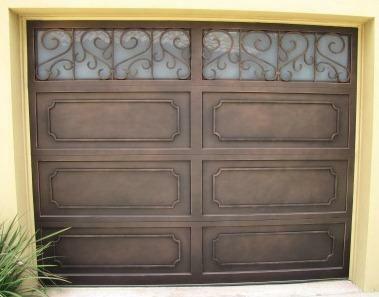 The scrollwork on our iron entry doors is hand forged by fire and our iron garage doors are insulated units that we can build custom to match the existing iron work on your home. Click here to visit our website and view our photo galleries and contacts us to speak to a representative and receive a quote.